Full disclosure, I'm a far cry away from being a beauty guru. I'm usually an "OK, what can I afford in the Target beauty section?" kind of girl and end up buying the same thing for my skincare and make up routines. I'm pretty simple with my choices and pick products that feel light and don't alter my look too dramatically. If I had to choose only one make up product to wear for the rest of time, I'd choose my brow pencil. I could say goodbye to foundation, farewell to eyeliner, and even my contour bronzer could go. But if I don't have my brows, I don't feel like me. My job has intrigued my interest in the the beauty world. We work with a ton of beauty influencers and top beauty brands, which prompts me to explore their world a bit more. Enter, Glossier. 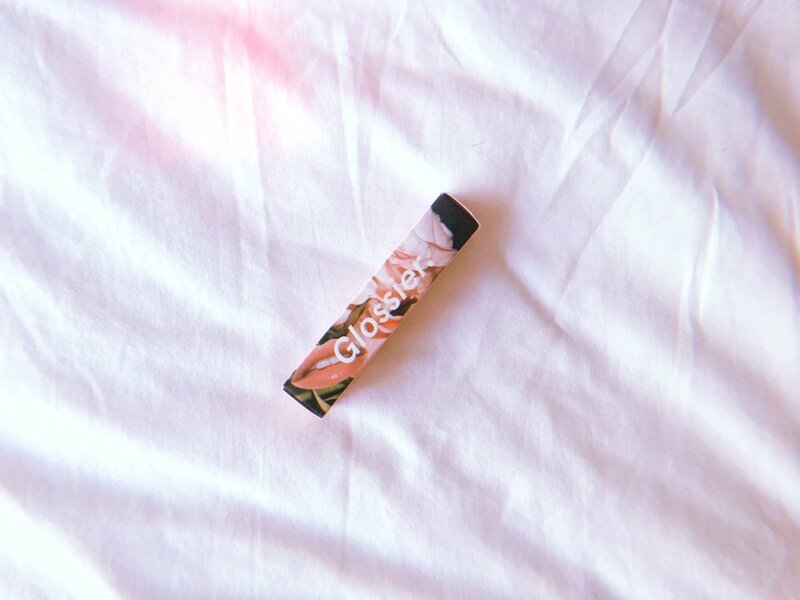 Although I'm not a very knowledgable beauty gal, I can understand the appeal and hype of Glossier, a brand that has an impressive 1.2M followers on Instagram. Its branding and packaging is on point. The messaging is self-empowering. The fresh-faced girls in its campaigns have me asking, "How do I glow like that?" And the pink is a millennial dream. Despite recognizing the cool factor and hearing women, such as my previous roommate, fan girling over the brand, I never ordered Glossier product until it entered real life in West Hollywood on Melrose Place. 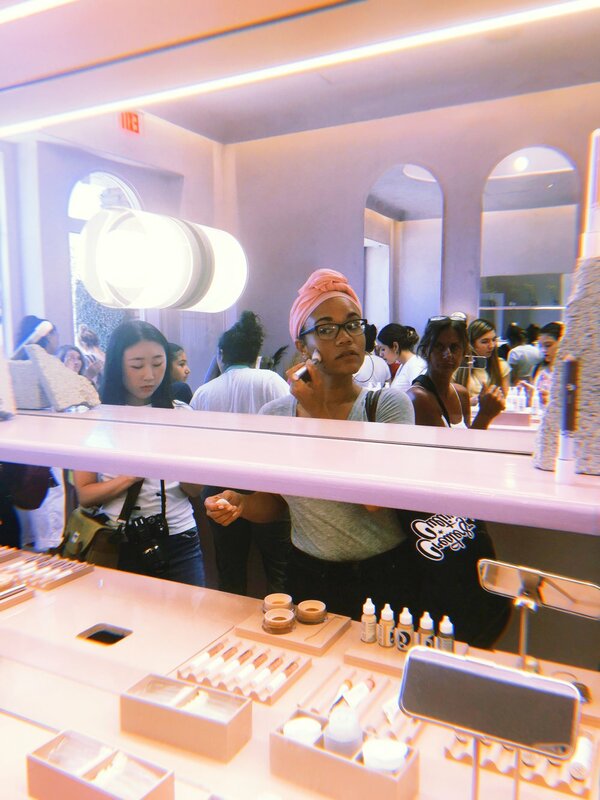 Glossier positions itself as a "people-powered beauty ecosystem" and promotes its products as tools to enhance natural beauty before playing things up with make up. As an inclusive brand, it cheers on consumers to celebrate their individuality. 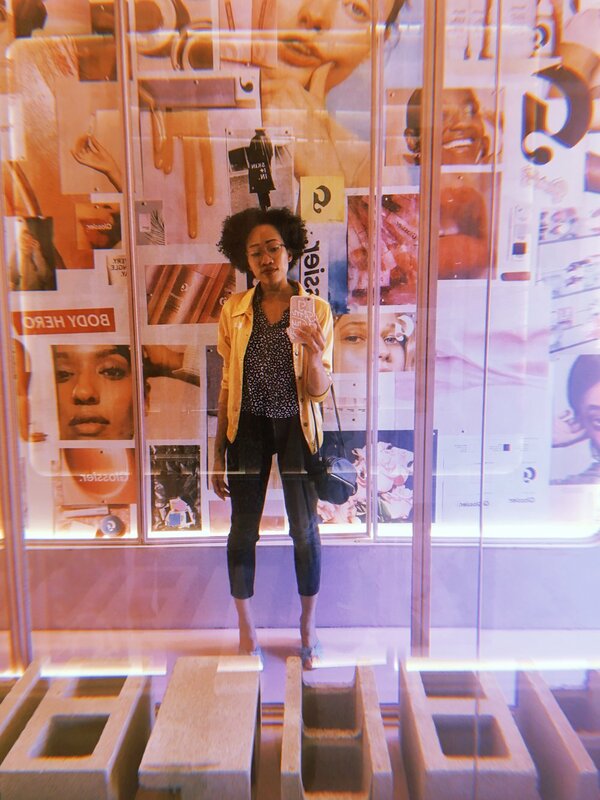 To kick off the second Summer Friday of the season (our office closes early in the summer), I walked over to the Glossier brick-and-mortar with my co-workers Natalie and Tyeal and felt super welcomed and supported to feel my best self. Even the mirrors were hyping me up. The in-store experience was nothing like I had been a part of before. Every nook was modern, pretty, pink, and I have to say it - "instagrammable." Glossier knows their customer well. Even though the store was crowded with other excited bodies testing product, it didn't feel overwhelming. The environment they created to test and shop for products felt like a new journey to discover something new and refreshing. Each of us tried something, from their Boy Brow, Skin Tint, Wowder, Perfume Solid and more, and left with our first ever Glossier purchases. It was a glowing day for #theyouthz. 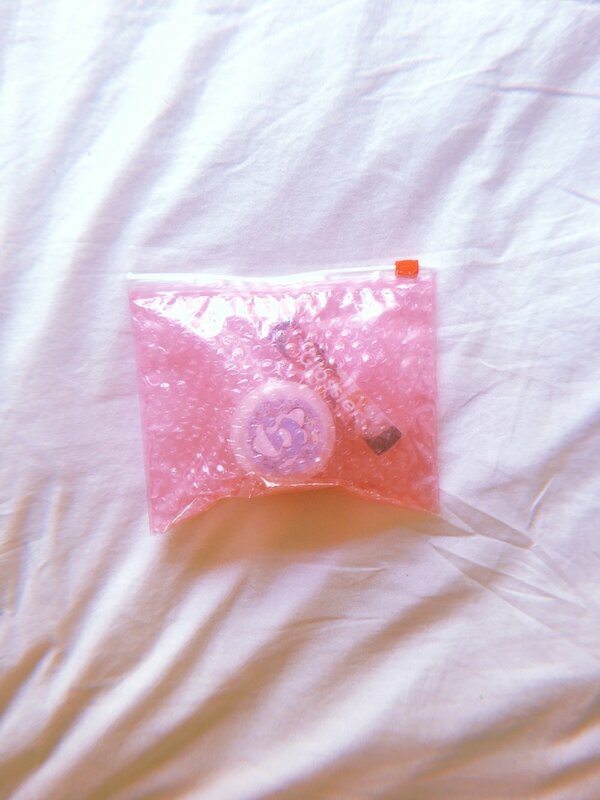 In Glossier's signature pink bubble wrap bag, I brought home two products - the moisturizing moon mask and rose balm dotcom. The moon mask is very refreshing and left my skin feeling more hydrated and silky smooth. The balm dotcom will primarily be used for my lips, but can also be used for other spots that need some extra love like elbows and cuticles. It's bigger than a normal lip balm, but still slim and compact enough to fit in my purse to bring everywhere. Now I'm admiring the packaging and may have unexpectedly turned into a Glossier Girl. I have a feeling I'll be heading back to the Glossier Canyon sometime soon to pick up some more goodies.